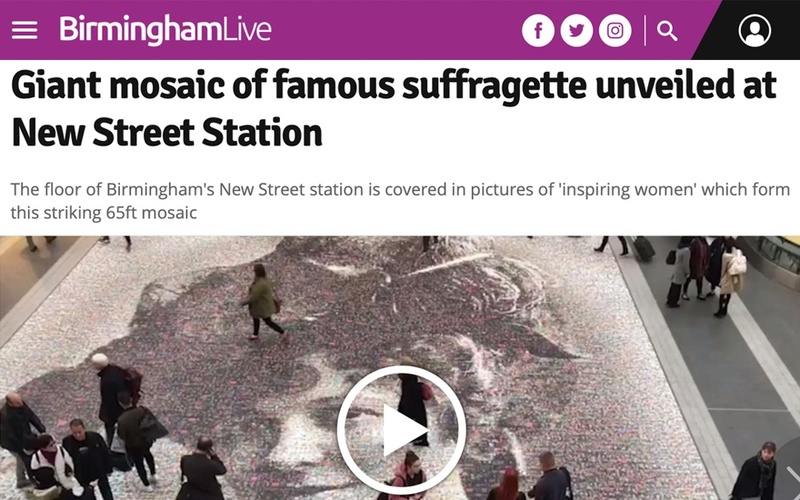 A giant mosaic of a famous suffragette has been unveiled inside Birmingham New Street station, metres from where she threw a stone at a former-Prime Minister’s train. The 20m (65ft) portrait of Hilda Burkitt was painstakingly put together using 3,724 photos from members of the public. Artist Helen Marshall put out an appeal asking for selfies and pictures of women “you wish to celebrate”. The artwork, called Face of Suffrage, marks 100 years since the first British women voted in an election. Artist Helen Marshall said: “The photo is the face of a smiling Edwardian lady, but her story is far from what we might expect.